A blog post by JMM Program Assistant Emma Glaser. To see past posts from Emma’s intern days, click here! I spent a great summer working with the education staff here and learning just what it was that museum educators do. 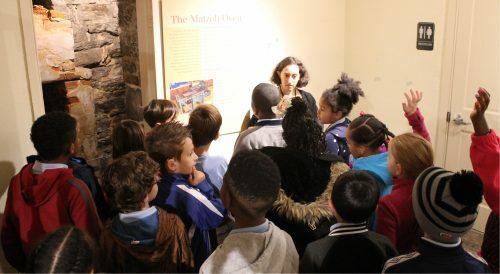 One of the most rewarding parts of my internship was helping visitors have fun and enjoyable learning experiences, especially when I had created the activity (I even wrote a blog post about it). Ilene, my co-intern Arielle, Emma (me! 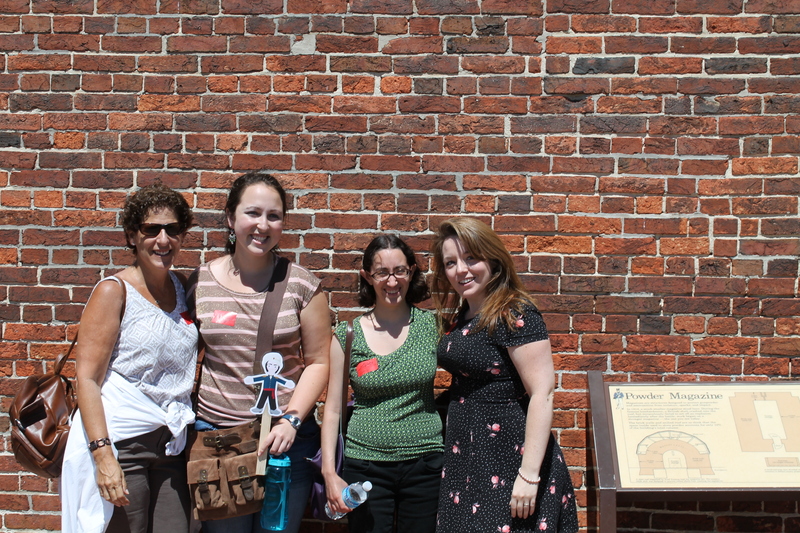 ), and Trillion on a field trip to Fort McHenry in 2014. One of my big projects was working on lesson plans for the (then) upcoming exhibit The A-Mazing Mendes Cohen exhibit, which opened after my internship ended, so naturally I had to come back and see the exhibit once it opened! And when I decided to get my master’s degree in museum studies at the Cooperstown Graduate Program, Ilene, the museum’s Director of Learning and Visitor Experience, who was my supervisor during my internship, wrote me a letter of recommendation. Once I went to graduate school, I still couldn’t leave the museum behind. During my second year of graduate school, one of my assignments was to create a digital timeline about immigration. I decided to focus on German immigration to Baltimore, since I knew from interning at the JMM that Baltimore had welcomed the second largest number of immigrants in the country after New York City. Of course, my favorite slide on the timeline was the one featuring the Lloyd Street Synagogue, but it was also one of the hardest to write – there was so much I wanted to say! Fast forward to today and I’m excited to return to the JMM as the Program Assistant and to continue sharing Maryland’s Jewish history with visitors. Leading a tour for students from Francis Scott Key Elementary/Middle School. Since I’ve been back at the JMM, two of the things I enjoy most about working in programming and education is seeing visitors make connections, and that I’m always learning new things from our speakers right along with museum visitors. My favorite fact I’ve learned so far comes from a very clever middle school student, who realized that because Harry Houdini lived for fifty-two years, he lived for the same number of years as there are cards in a deck. I’m already hard at work planning programs for some of the museum’s upcoming exhibits, so I’m excited to see what we’ll learn together in the future! So cool to read about this!! Mazel tov on your new position! It was a pleasure interning with you and I can’t wait to read more about the amazing work you do at the JMM!! Give my regards to the staff!